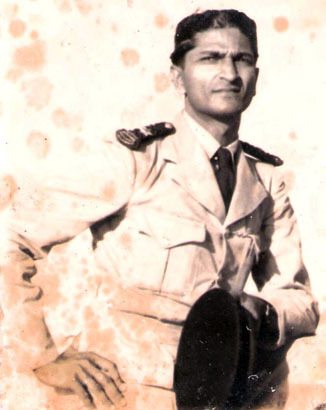 Al Haj.Abdul Rahman Abideen was a gazetted officer in the police Force now retired. His attraction to Da’wah work began as far back as four decades ago even when he was in active police service. His passion for Da’wah was so much so that it consumed all the time which he would have otherwise spent or rather wasted on the rat race that is an integral part of any vocation in order to secure promotions and perks. Abideen on the contrary was contented with whatever he received steering clear of office politics and competition, if any that existed during his period in office. Indeed, this rare and remarkable trait in him shunning worldly ambitions is what perhaps earned him the blessings of Allah to accomplish such a wonderful and gigantic task. Naturally therefore, to any reader it should become evident that he was possessed of special divine qualities above the mundane attachments which generally lure followers and preachers. In an age when aberrations are overriding and even religious precepts are not truly adhered to despite so much Da’wah work being carried out everywhere, his monumental effort deserves admiration and adulation simply because it is characterized by sincerity of devotion to the Islamic faith and his sacrificial nature towards it which is in stark contrast to commercial aims often seen among other compilers and authors. What makes him stand out from the many others engaged in Da’wah work is, he had always spent his own money towards this noble and sacred task, while remaining as self effacing as possible. He has expressly stated that he wants the fruits of his arduous labors to be enjoyed by every one. This being his sole objective in his noble tasks, he wishes that all the books he produces are distributed free. Unlike others who have produced books, Abideen has refrained from making his own interpretations on the Islamic subject, lest they can be misleading. Quran specially being an ocean with an infinite depth and a width, he believes that it cannot be interpreted by the finite mind of an ordinary follower to say anything conclusively. Consequently , he has as best as he could systematically arranged the quotations of the Quran, Prophet Mohamed , the scholars, theologians , researchers and others in each book he has compiled under diverse headings to enable a reader to understand them with consummate ease. He has done extensive research and invested so much of his time, money and energy in his books that in every book he has marshaled the quotations and presented them in a neat sequence so that a reader who wishes to enlighten himself on a subject has only to refer to the relevant section in the books of his on the subject which provides copious information carefully garnered painstakingly from every authentic source. His books cover every aspect of Islam. It is for the reader to select what he wants. The arrangement and presentation are such, it makes it convenient to a reader to clarify his doubts and views without referring to so many books, which he would ordinarily have to. Every book of his on any subject covers every detail on that subject he has covered. If it is to be explained by an analogy from the standpoint of a reader, it is like a customer going in search of his requirements to a shop which has all what he needs under one roof, thus precluding the customer from going from pillar to post to get his requirements. Abideen has designed his books to serve the reader in much the same way as a shop having all the requirements of the customer under one roof. Whether it is on salaath, quotations, interpretations or any other, in each book he has seen to it by copious collection of information that the reader’s needs are fulfilled to the utmost in order that the reader will not be necessitated to look elsewhere for information or verification on the captioned subjects in his books which have been so elaborately compiled. If there are more like Al Haj Abideen engaged in Da’wah work there will be fewer issues and controversies to be resolved in the world of Islam. May Allah bless him with long life, health and strength to continue his Da’wah work unhindered and unperturbed. May Allah shower his blessings on him and his family with peace, happiness, piety and prosperity to make even greater contributions to Da’wah work? By I .H. 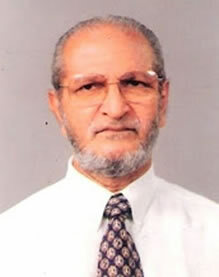 M. Gafoor - a senior Journalist who was spellbound by the carefully picked gems of religious thought contained in his books.